For King's Adviser, Fulfilling The Dream 'Cannot Wait' After days of worry, Clarence B. Jones, legal adviser to Martin Luther King Jr., was relieved to stand at the Lincoln Memorial and watch the event unfold without a hitch. While there's been great progress in the decades since, Jones says, he also feels King's dream still remains unfulfilled. 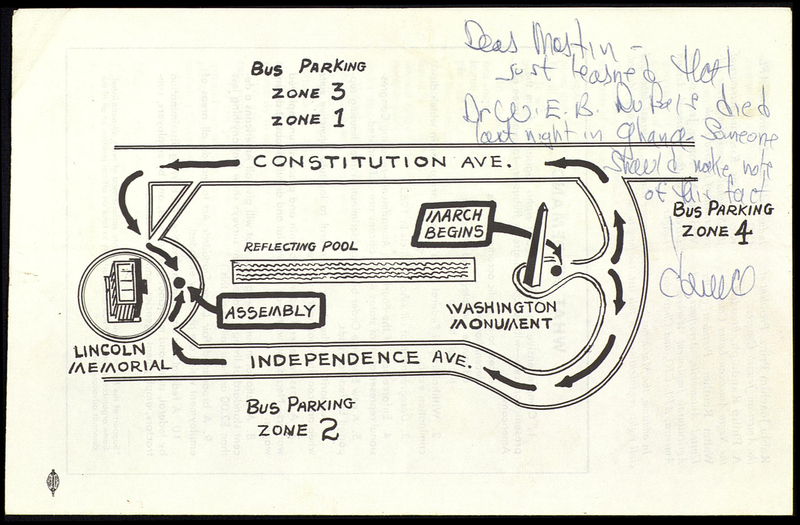 This is the second in a two-part report about Clarence B. Jones and the March on Washington. Aug. 28, 1963, was a tense day for Clarence B. Jones. As the longtime attorney and adviser for the Rev. Martin Luther King Jr., Jones had a long list of worries as people started to fill the streets around the monuments on the National Mall. Were the right permits filed? Would the speakers veer off script? Would enough people show up? "I had this feeling that we were going to throw a big party and nobody comes," Jones recalls. But people did come — at least 250,000 of them. Still, Jones also worried that the crowd might also include agitators, "some of what I called 'agent provocateurs' — white as well as black," Jones says. 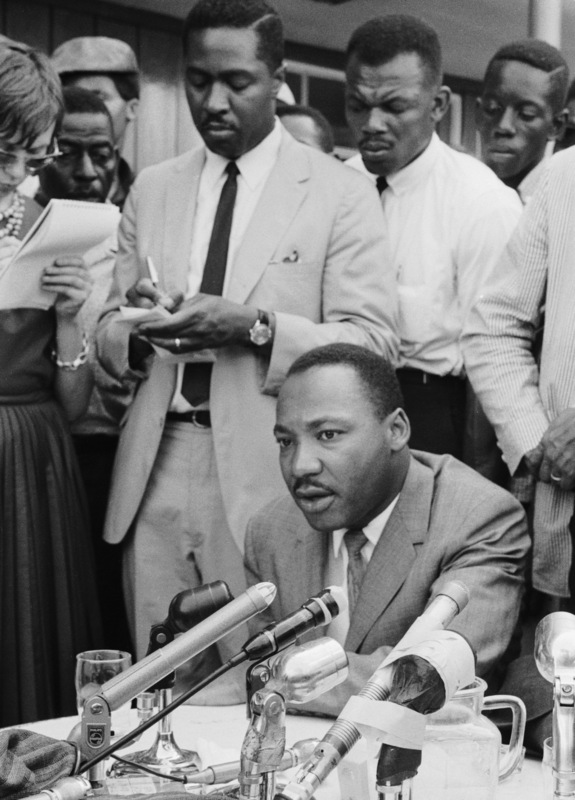 "I didn't know whether some of the black nationalists who were opposed to Dr. King's non-violence, or whether some of the people from the right wing, the Klan ... would provoke something." And then there was the delicate and thorny issue of wrangling all those celebrities, Jones says, like Marlon Brando, Shelley Winters, Sidney Poitier, Joanne Woodward, Paul Newman, Joan Baez, Odetta and Bob Dylan, to name just a few. In the end, things went smoothly, from the singers and the speakers to the big crowds and blue skies. After sleepless nights and fretful days, Jones was able to take his place on the stage at the Lincoln Memorial and take it all in. Clarence Jones has saved his program from the March on Washington, which includes a note he passed to Martin Luther King noting the death of historian and activist W.E.B. Du Bois. Click here to review the entire program. Among his most vivid memories is singer Mahalia Jackson at the microphone, Jones says. "How could you not be moved by this woman's voice? You would have to be unfortunately afflicted with some type of muscular disease that would prevent your muscles reacting to what your ear brought to your body." Of all the entertainers that day, Mahalia Jackson was the singer who had a special hold on King. When King was feeling down, he would speak with Jackson on the phone. "And she would sing one or more of his favorite songs, and ... he would close his eyes listening to her," Jones continues. "In some cases, tears would come down his face and then he would say, 'Mahalia, you are giving me the Lord's voice this morning.' "
King had enormous respect for Jackson, Jones says. And because of that, the reverend listened to her when she offered him unsolicited advice while King stood at the podium on the day of the march. While he was reading from the prepared text, Jones says, Jackson shouted at King. "This is after she had performed, of course, she's sitting down, and she just shouted at him ... 'Tell 'em about the dream, Martin! Tell 'em about the dream!' "
Jackson knew that King had delivered a rousing speech earlier that summer at Detroit's Cobo Hall, bringing the crowd to a feverish pitch when he preached about his dream for a better America. So despite King's prepared script that August day, Jackson encouraged him to bring that moment from Detroit to the steps of the Lincoln Memorial. "Now, most people probably didn't have the slightest idea what Mahalia was yelling to Dr. King," Jones says. "What he did upon hearing that, he took the text of the speech — the written text that he was reading — and he moved it to the left side of the lectern [and] grabbed the lectern with both his hands. "And I see this and I turn to the person standing next to me ... and I said, 'These people don't know it, but they're about ready to go to church.' "
Jones is proud of his contribution to that moment in history, but he still wishes more of King's dream will be realized in his lifetime. He says he's tremendously proud of progress that's been made. But, as Jones wrote in his book, Behind The Dream, as long as there's a need for a legal category for hate crimes, police officers "pulling over African Americans because they're driving cars considered out of their financial reach," and people "selling their houses because too many black families have moved in," the dream remains diluted, tarnished and unfulfilled, he says. When asked about his thoughts on race today, Jones harkened back to the letter King wrote from inside the jail in Birmingham, Ala., in 1963. King scribbled out that letter on scraps of paper and it was Jones who secreted those scraps out of the building during several visits. In the letter, published under the headline, "Why We Can't Wait," King said complacency and hate were the enemies of progress. So, when asked to offer his six words on race, Jones replies, "Hate is why we cannot wait."